I bought two more yesterday. I love The Palmer Home Thrift Store where every penny I spend except those that go to the Sovereign State of Mississippi goes to The Palmer Home for Children in Columbus, Mississippi. I buy a lot of books there. Palmer Home for Children is today an independent institution governed by an unpaid, volunteer Board of Directors. But we are proud of our Presbyterian heritage and maintain close ties with Presbyterian and other churches as well as interested friends concerned about family breakup and the plight of fatherless children. From The Quotable Ronald Regan compiled and edited by Peter Hannaford, copyright 1998 published by Regnery Publishing, Inc. It’s for Mr. Big Food’s bookshelf. Lydia Pickham is Her Name (1949) is not a work of fiction! 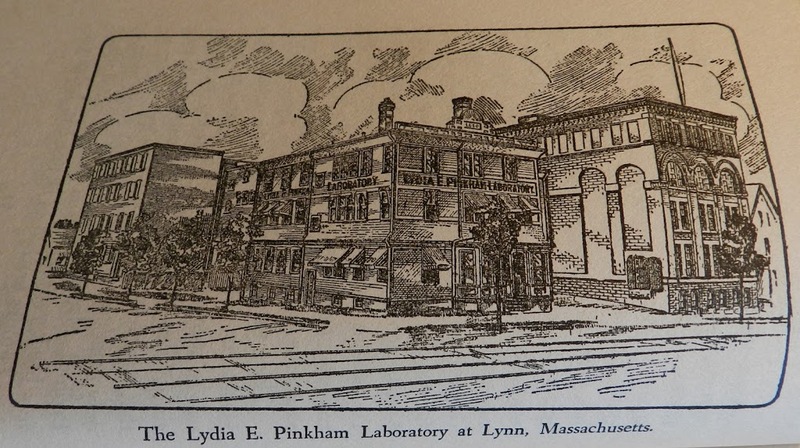 Lydia Pickham was a business woman who lived in the mid-19th century and who, according to the infallible source, Wikipedia, developed and sold herbal-alcohol remedies for woman. Crucible (1937) and Faint Perfume (1928) are two old crappy works of fiction. The Autobiography of W.E.B. 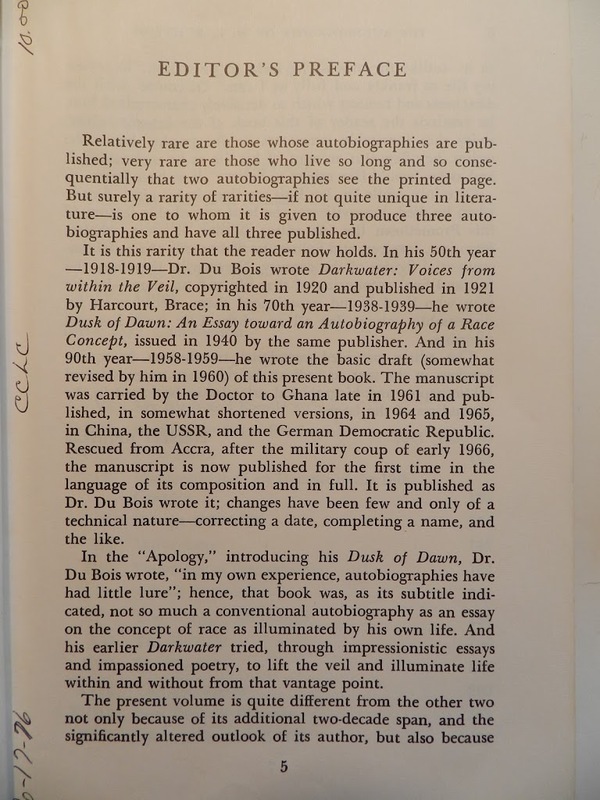 DuBois: A Soliloquy on Viewing My Life from the Last Decade of Its First Century (1968) is DuBois’ third autobiography! By my crappy old standards of what counts as crappy old, this book– and indeed several of the others– is not very old. But I scooped it up, anyway. 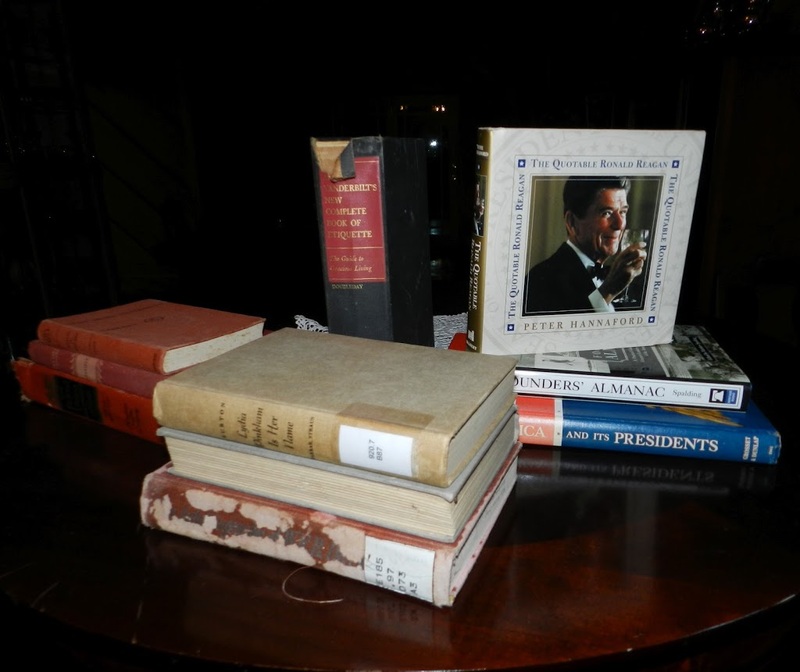 I want my library to be as complete as I can haphazardly make it; this third autobiography certainly fills in a void! Of course, with the directness and honesty which so decisively characterized him, he reminds the reader of this book of the intense subjectivity that inevitably permeates autobiography; hence, he writes, he offers this account of his life as he understood it and as he “would like others to believe” it to have been. We’ll come back to autobiographies. [t]here were still occasional years of famine, such as 1693-9, 1708-9, 1741, 1757-9, and there was the sheep-rot in 1735 and three outbreaks of cattle plague, of which the worst was 1758-9; but except for times like these… . Except for times like these??????? See the Regan quote, above. Click to make bigger & see the Gadsden Snake labeled with initials of the 13 Colonies. This is the older of my two new copies of the Declaration of Independence. 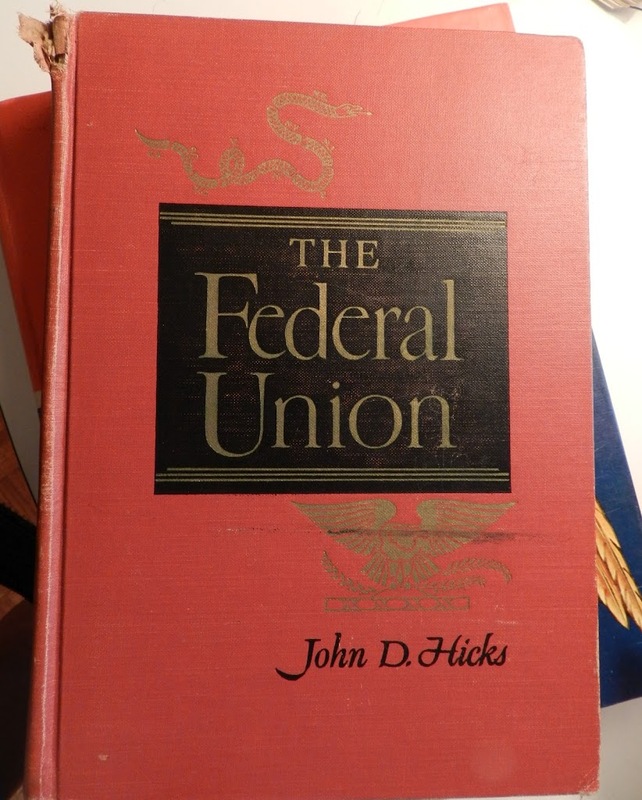 First copyrighted in 1937– with this third edition 20 years later– The Federal Union: A History of the United States to 1877 was written by John D. Hicks of the University of California, Berkley. This edition is selling on Amazon for $19.97, $0.50 + tax at the Palmer House Thrift Store. Published by The Heritage Foundation. What’s not to like? The sad thing is, it doesn’t look like the previous owner even turned the first page. Were we directed from Washington when to sow, and when to reap, we should soon want bread.